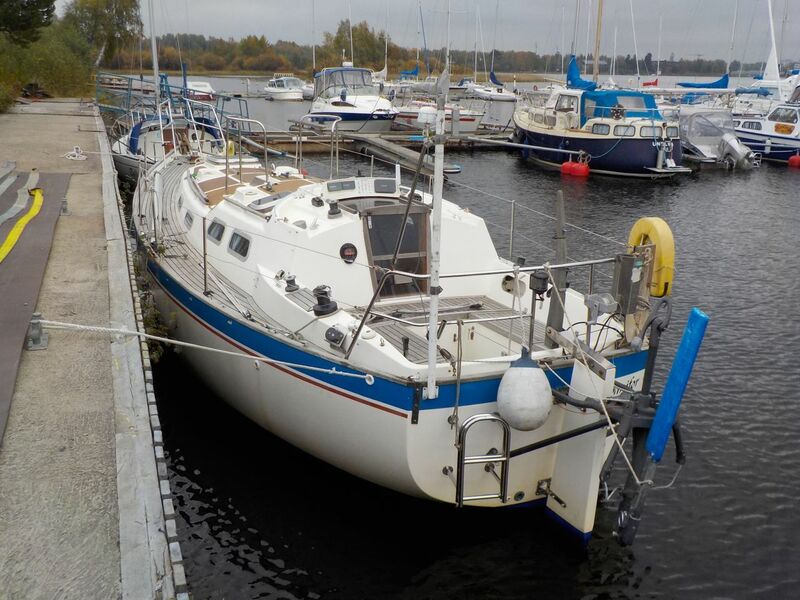 In sailing season 2018 we sailed in familiar waters at the Baltic Sea and broke no mileage records. 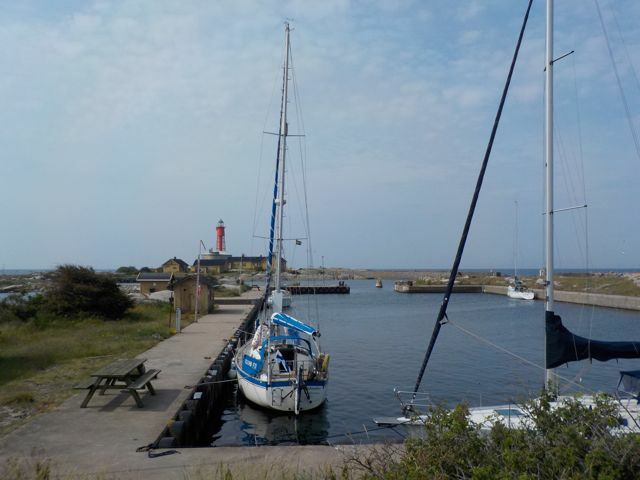 The winter 2018-2018 Stella Polaris stayed in the water in Falsterbo kanal, Sweden, while the crew enjoyed the warmer climate of Las Palmas, Gran Canary. We returned from Las Palmas to Sweden mid-Feb 2018. After housesitting Saku’s mother’s house for couple of weeks, the plan was to settle back to the boat. But the winter was exceptionally snowy and cold in south Sweden and therefore our return to Stella Polaris was postponed a month. 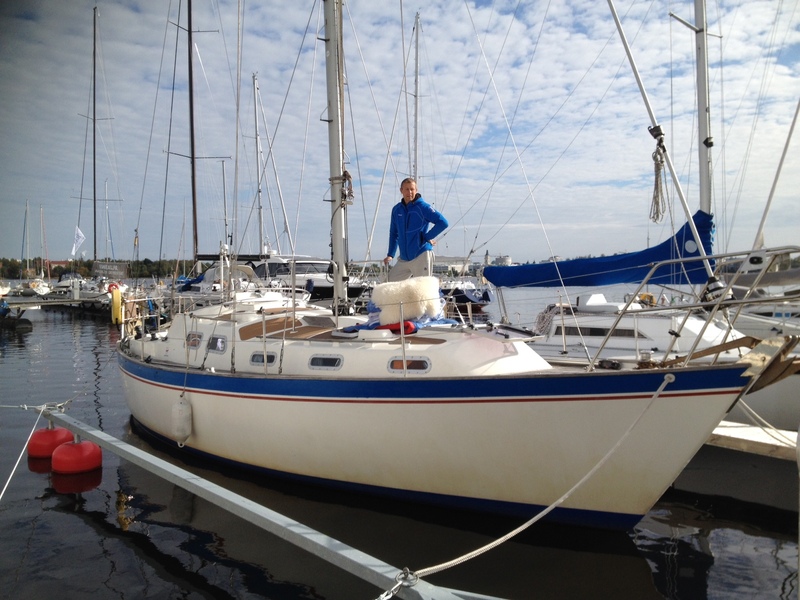 Finally, on 18th of April 2018, the sailing season 2018 began and we set sails and started our journey from south Sweden to Helsinki, Finland, a.k.a. home. The warmest May in decades followed by the warmest summer in years – just what we needed! How did it feel to come back home after 2 years of sailing? Read what the crew had to say at the time of homecoming from here. 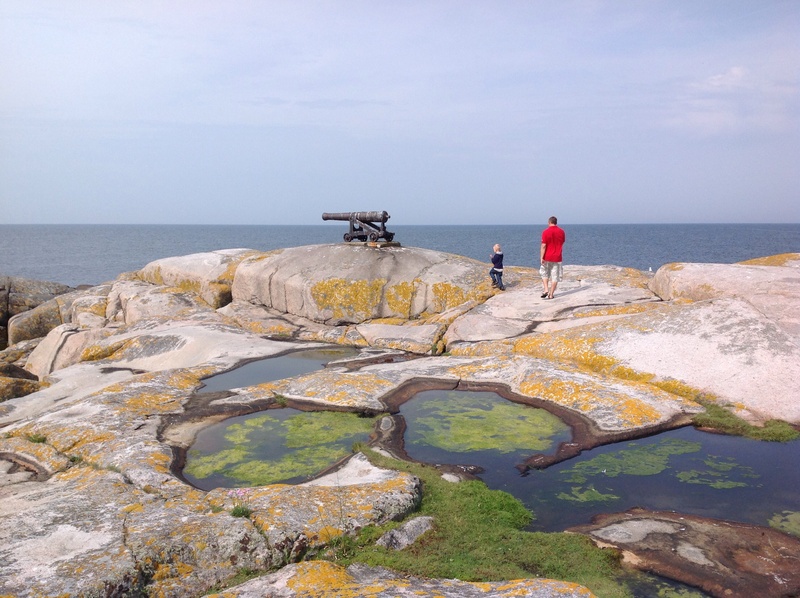 After returning home, settling to our new apartment and starting in our new jobs, we did a bike&sail summer tour to Estonia and explored the rocky islands close to Helsinki. 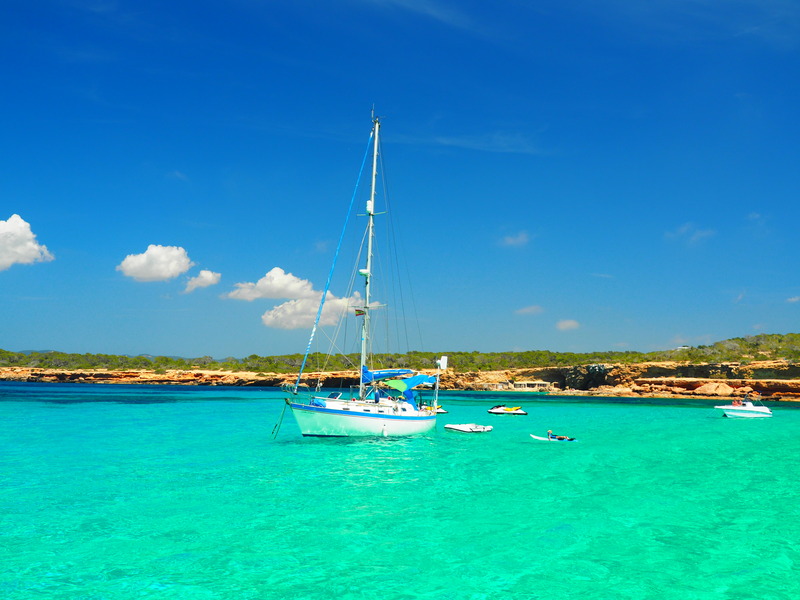 We loved the laid back days ashore moored to different rocky islets and were really lazy sailors. 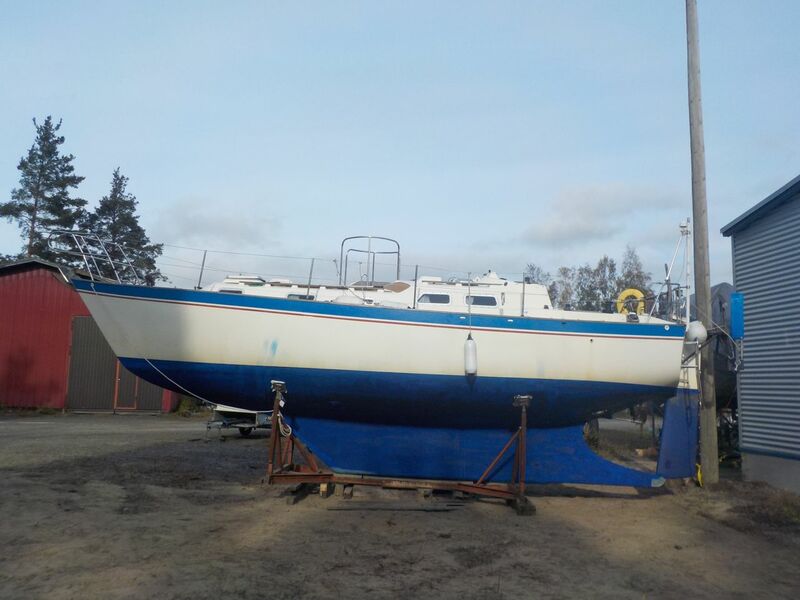 Stella Polaris was our weekend home until she was lifted up on dry land on 21st of September 2018. She is now winter sleeping in her new home port Suomenlinna Sea Fortress. Arriving home: How does it feel? And what next? We made our dream come true! But how does it feel to come back to reality after living onboard and sailing for 2 years? And what now? End of the world? But how does this all feel? Do you know what that blue board in the boat means? 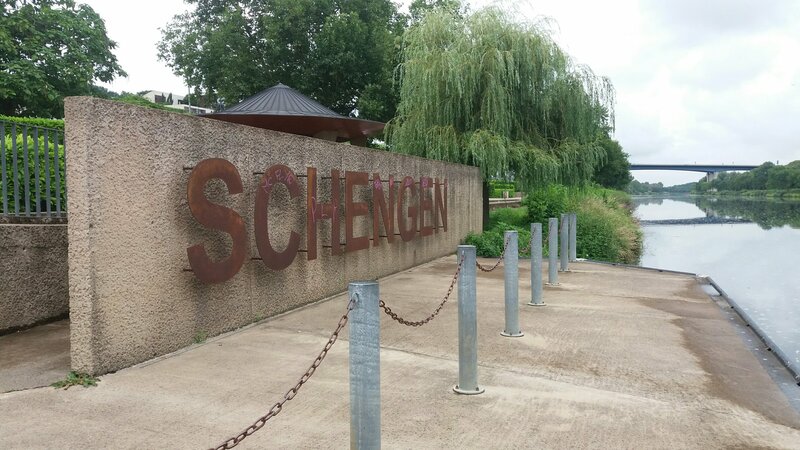 Here’s some facts and figures about our 30-day canal cruising thru France from The Mediterranean Sea to Schengen, Luxembourg. As the strong mistral winds blew for 4 days, we stayed put in a small town of Aramon in south France. 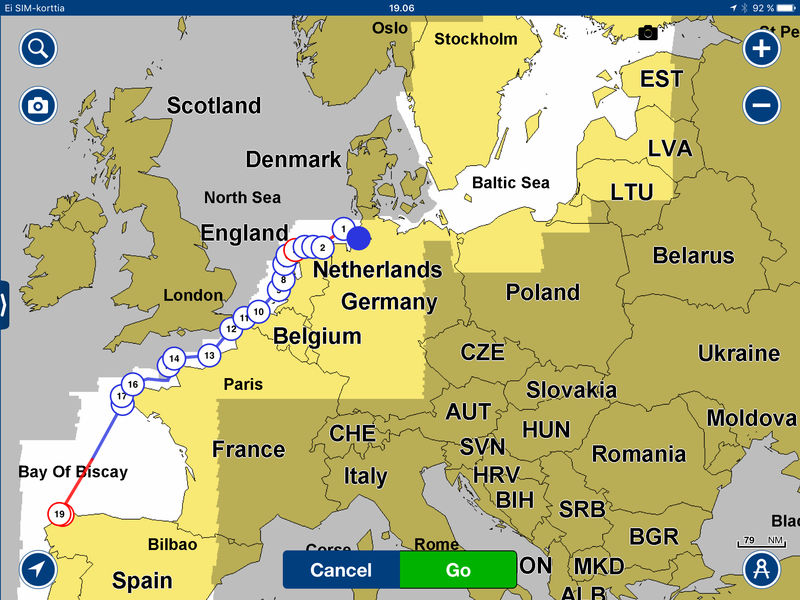 Find below a map of our sailing route from Cuxhaven (Germany) to Cedeira (Galicia, Spain). We took off from Cuxhaven, Germany, on the 16th July 2016 and arrived to Cedeira, Spain, 40 days later on the 25th of August 2016. The distance between these two locations (following the route we travelled) is 1171 nautical miles or 2108 km. 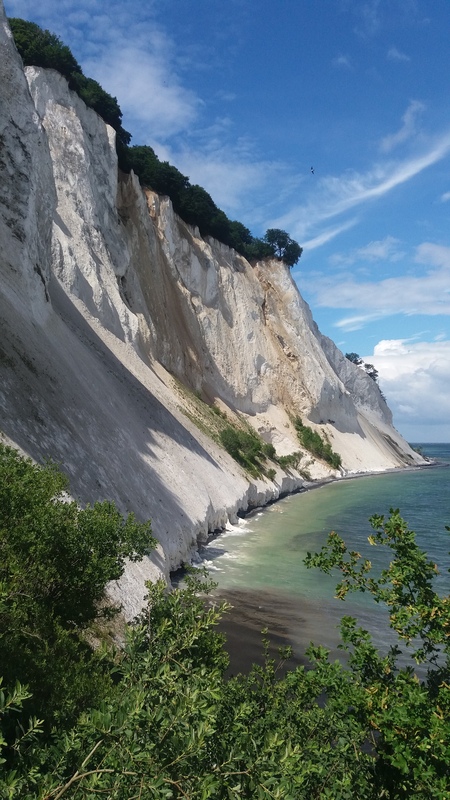 This stretch from Germany to north Spain includes world famous sailing challenges: the Elbe river delta, the shallow waters and sharp waves of the North Sea, the busy English Channel, strong currents that dictate your schedule near the French coast and finally – the Bay of Biscay known for its’ cross waves. 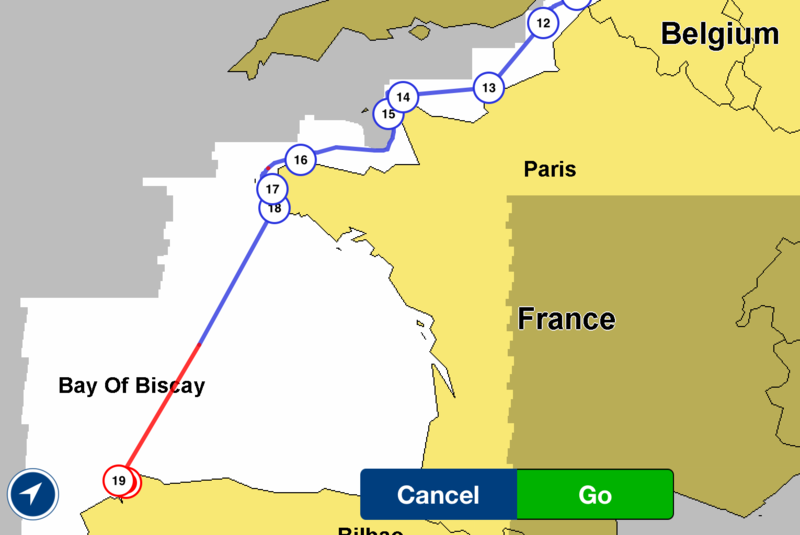 Bay of Biscay is known for its’ difficult sailing conditions. When we sailed across it from Audierne (France) to Cedeira (Spain) in late August, it lived to the expectation. We were well prepared for the voyage: We were well rested and in good spirit. The weather for the crossing was well analyzed. We had plenty of food & drink onboard. We had tightened safety protocol in place, e.g. use of lifelines, a grab pack packed. S/Y Stella Polaris left Helsinki, Finland on 4.6.2016. After 36 days and 739 nautical miles, we were at the beginning of the Kiel canal. See the video and read the whole story. 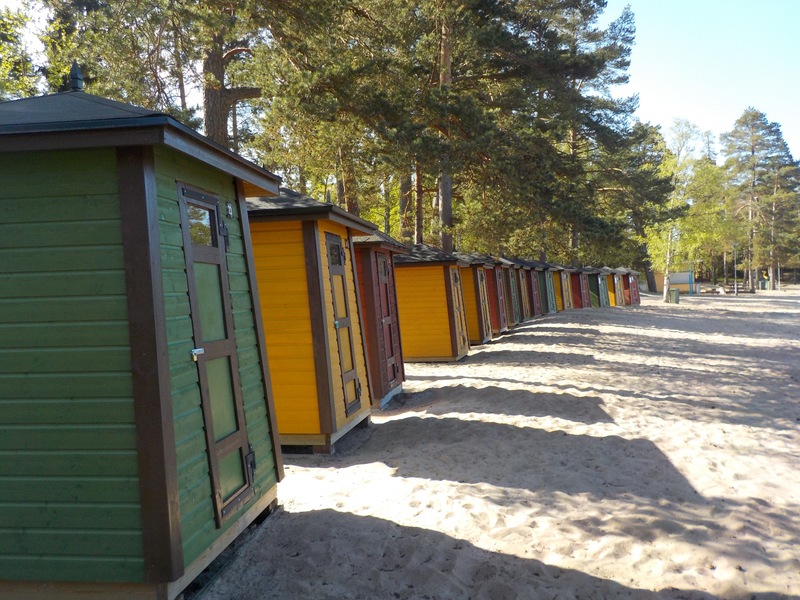 Picture blog of the nearby islands of Helsinki, Finland. Enjoy! 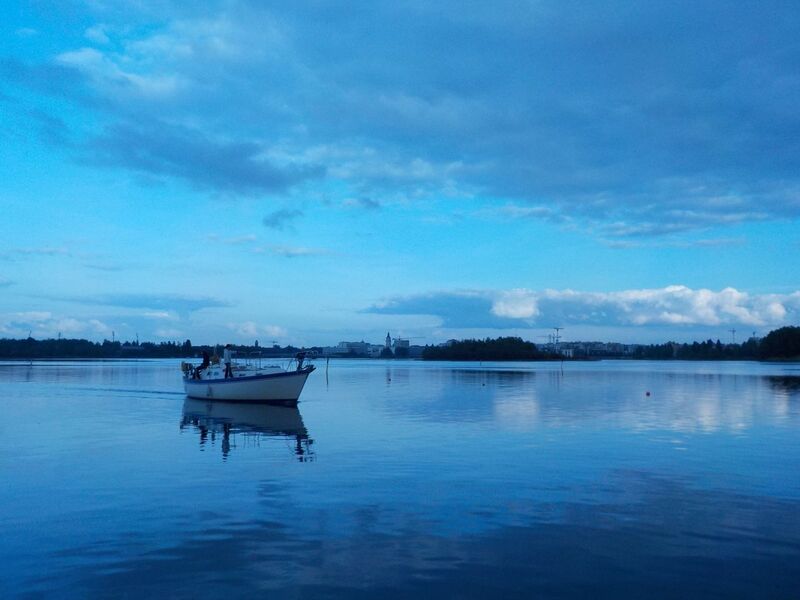 In August and September S/Y Stella Polaris sailed the waters of Helsinki and visited Estonia twice. 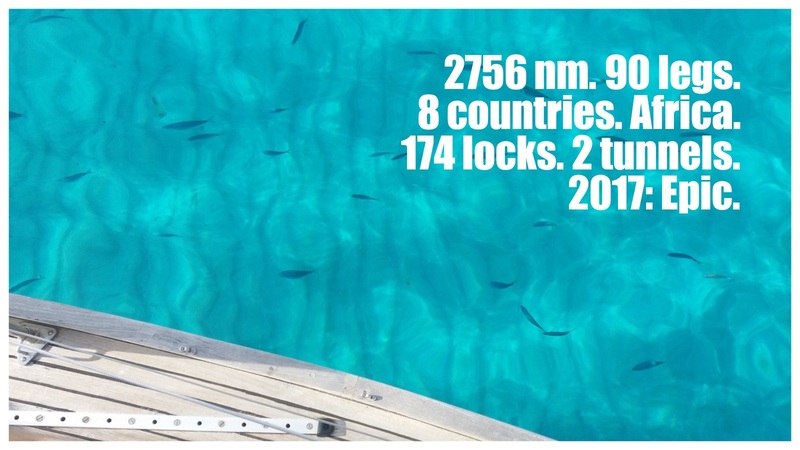 The total nautical miles we sailed in season 2015 was 783. Now that our summer sailing trip to Helsinki is well on its way, I yet again came across with my love/hate relationship with deep water. I hate it when I swim, snorkel or paddle. I rather not swim in deep waters, not even in deep swimming pools. It gives me shivers and makes me feel unconformable. Knowing that I have 2+ meters of water underneath me causes a slight/medium/seviar panic in my head and I want up right away. But I love deep water when we sail. Seeing the bottom would be very bad news in the grey waters of the Baltic Sea. Having 10+ meters of water under the keel and everywhere around makes me feel calm. When at deep waters with Stella Polaris, I can let our ship slaves steer, keep on eye on our direction and otherwise occupy myself with something else. I wonder what will happen with this love/hate -relationship when I sail in clear ocean waters and I can see the bottom even when its deep. Have to wait and see. No more mast. S/Y became M/S. Engine inspection and maintenance done. Waiting to be lifted. At this stage, we had no idea from where to lift the boat, and furthermore, if she would fit into the winter rack we had for her. After three hours of sawing, drilling and adjusting both the rack and the boat to all direction, Stella Polaris is standing on dry land. 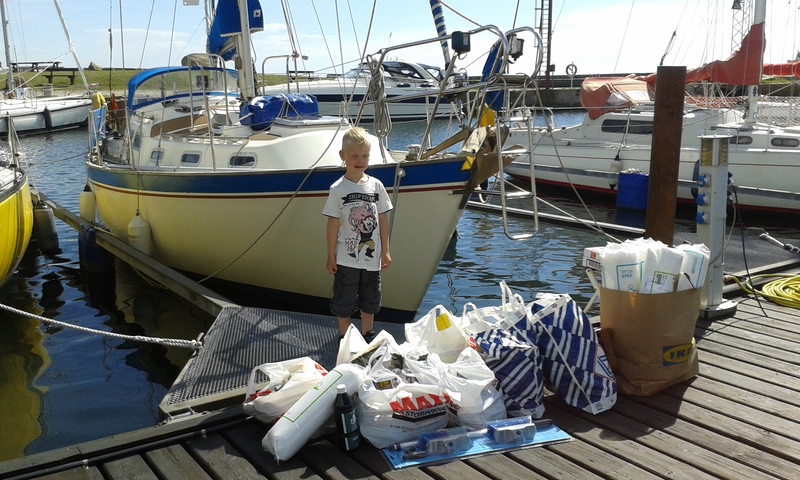 Thank you harbour masters and Erkki for your help! 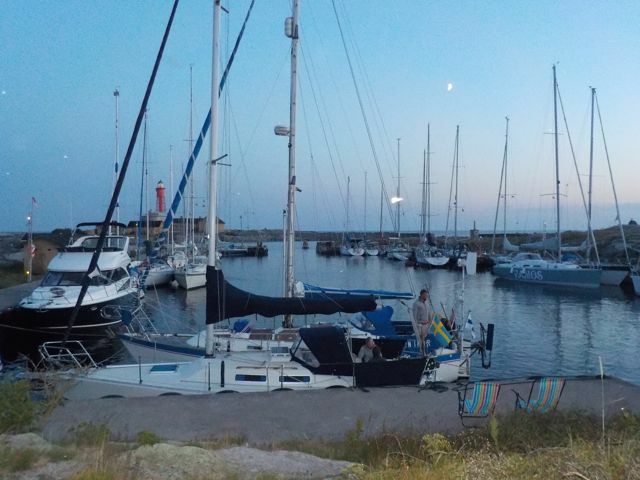 Since the island is so conveniently located for those who plan to sail north along the Swedish coastline, the guest harbour can be quite crowded during the peak summer season. When we arrived at 9.10pm, there were 28 boats in the harbour – which is not considered crowded. Someone later told us that in some accession the guest harbour basin had been so crowded that you could cross the basin by jumping from one boat to another. We were welcomed by the harbourmaster in his motorboat right when we arrived and chose to side-parked to a Swedish boat at the end of the basin. The harbour fee for a night was 160 SEK (17 EUR) and included no water, no electricity, nothing. Sailors are early birds! When we woke up after 9am the next day, the guest harbour was nearly empty. There were only 3 other boats left and we heard no one leave! Luckily, we had chosen by accident to side-park to the only boat in the basin that did not plan to leave that day. Saku floated us to a new position along the basin first thing in the morning. In early afternoon new boats that had sailed overnight started to arrive. Utklippan actually is 3 separate islands. Luckily the guest harbour had dinghies to borrow because we didn’t have one at this stage. 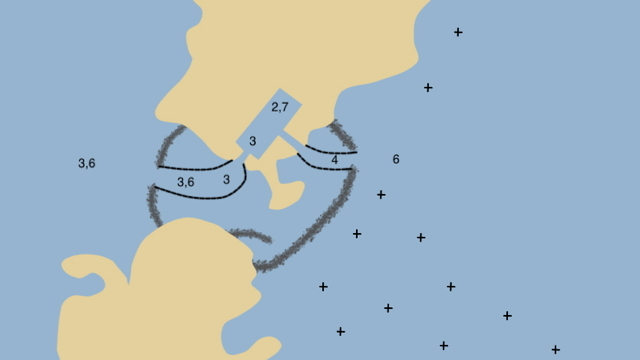 If you don’t have a dinghy of your own, choose carefully your location in the basin because the smallest island (south corner of the basin) did not have dinghies available. With the dinghy, we visited the island with the lighthouse and the café. 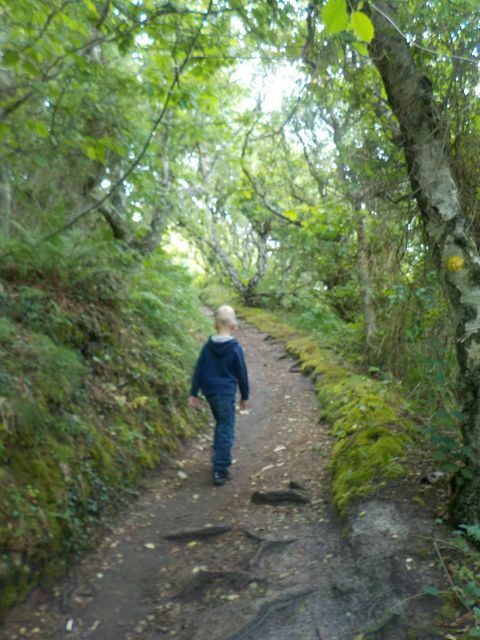 We wondered around the sleek rocks carefully avoiding the areas taken over by nesting birds. 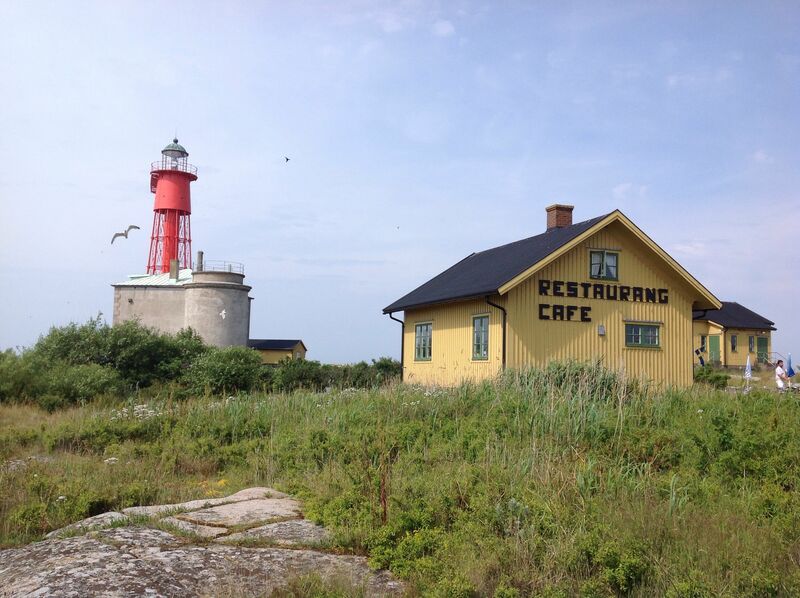 The lighthouse island is very small with only the lighthouse (no entry unfortunately), a café/restaurant, a guest house where you can rent a room and the harbormaster’s residence. 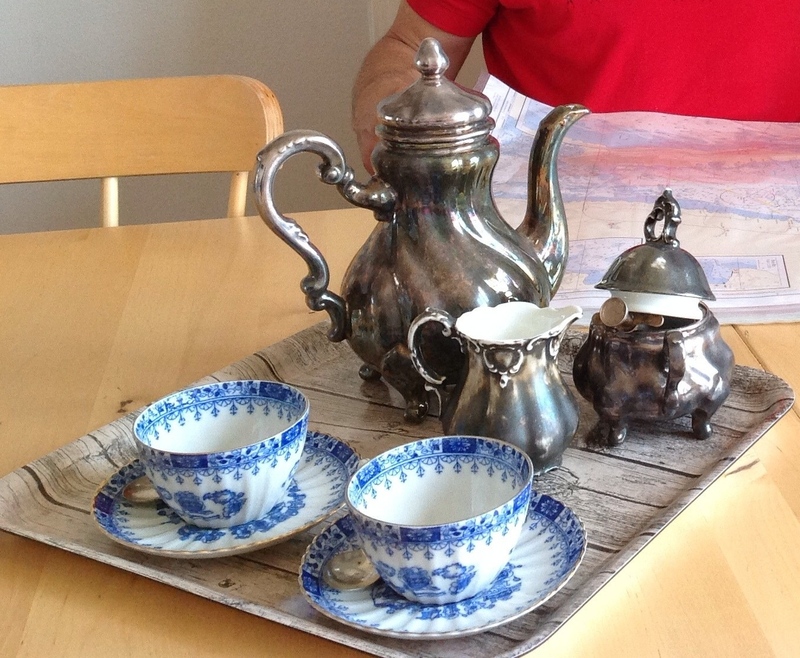 The coffee was table served from beautiful, old porselain which felt very luxurious considering the isolation and organic nature of the island. For a moment, sitting in the old house that reminded us of our own home, it felt like time was standing still. I’ll remember this cup of coffee for a long time. How does is look in Utklippan right now? See yourself from a webcam. 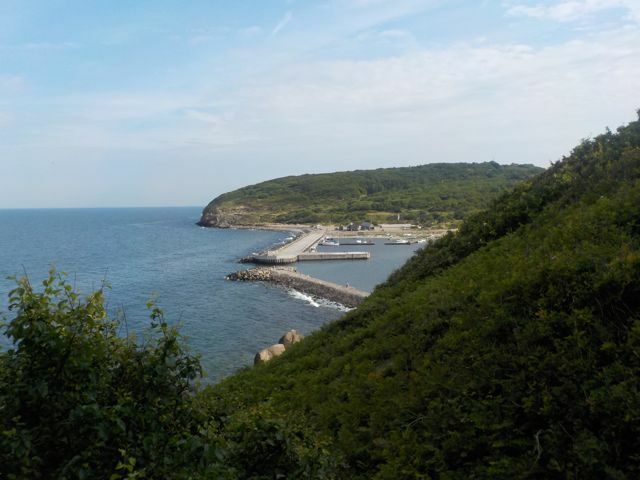 All the years we have travelled to Skåne to visit Saku’s mother, we’ve always dreamed of visiting the island of Bornholm. And now we finally did with our own sailboat! 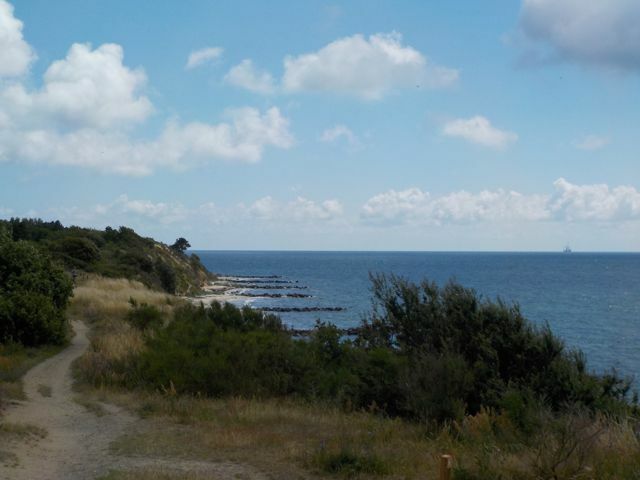 With the right westerly or south-westerly winds, the west cost of Bornholm is 8-10 hour away from Sweden. 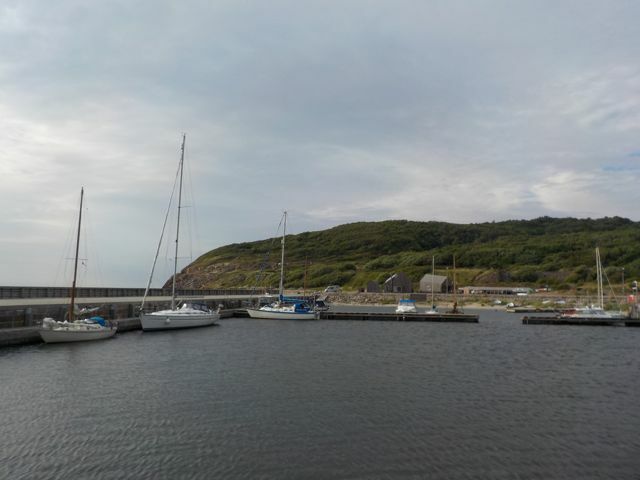 We sailed to Rønne (“capital” of Bornholm) from Smygehamn (the southern most point of Sweden). 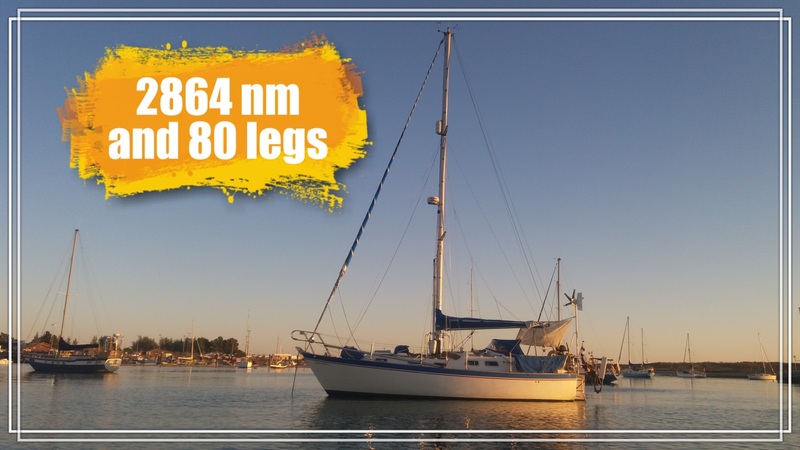 The leg was 48 nautical miles and it took 9h 25 minutes. 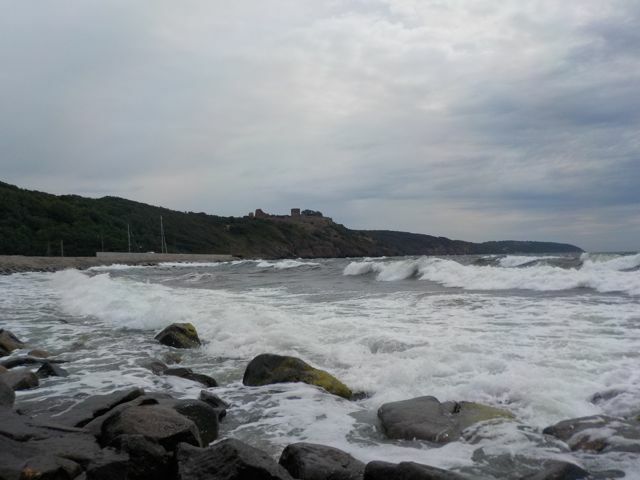 The westerly winds that had continued for days had raised the wave height in the open sea to an unpleased level and the tailwind was about 10m/s. Just before we arrived to Rønne, Anton decided to go from the cockpit to the salon because “there’s skiing slopes everywhere” – as he put it. 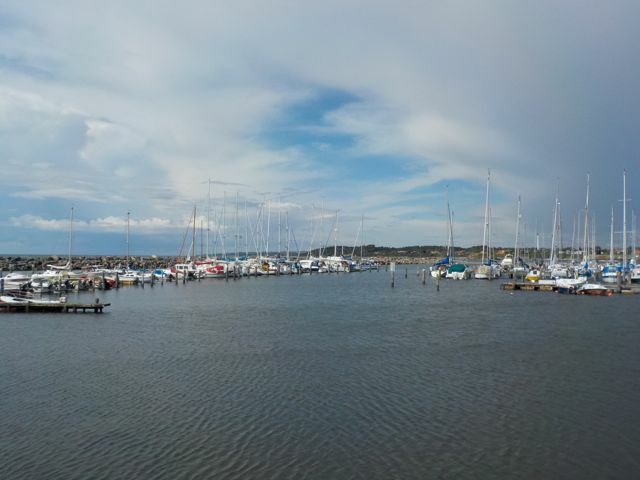 The Rønne harbour was full when we arrived on July 1st just after 6pm. After some spinning in the spacious harbour (no issues there), we tried an empty spot that was too narrow for us and we were stuck between the harbour pillars for a moment… :( We ended being side-parked as the 4th boat from the pier but moved to a better spot the next morning. The Rønne guest harbor was just another harbor with no special atmosphere but the small harbor for the fishing boats was adorable and had a fish shop. The harbor also had professional looking bicycle rental shops. 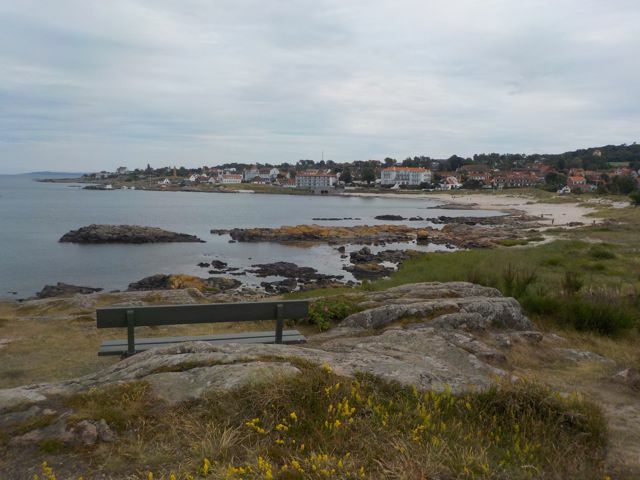 Sandy beaches north from Rønne are a walking distance or a bike ride away from the guest harbor. 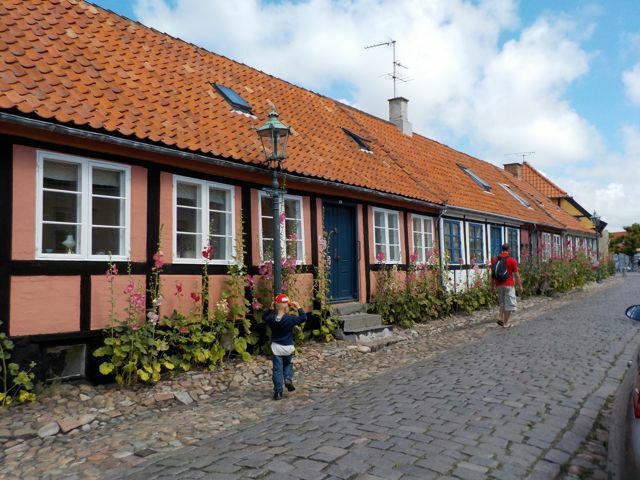 The town itself was picturesque with the old colorful and well-restored houses. The foldable bicycle we have was very useful in Rønne and both Saku and I did an evening sightseeing tour with it. Surprisingly the town was very quiet and everything was closed already very early in the evening. 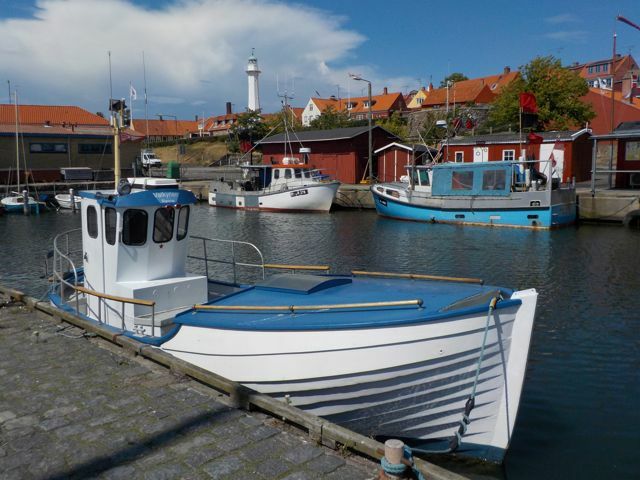 If I will sail to Bornholm again, I will either skip Rønne or visit it with public transportation for a day from another harbour. 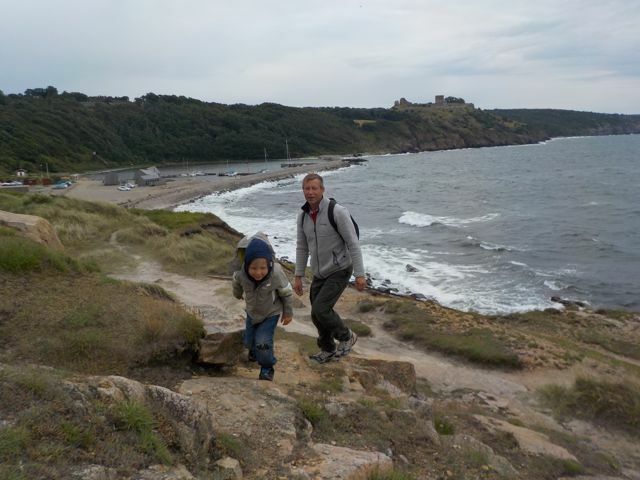 Hammerhavn (picture) and Sandvig at the north end of Bornholm were one of the best bits of our entire journey from Germany to Finland. 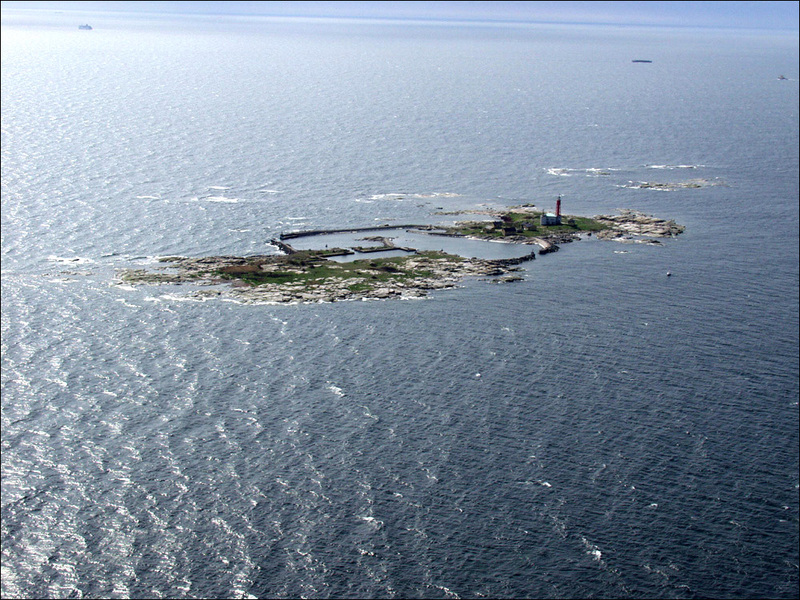 The Hammerhavn harbour is a tiny lagoon like pool with very narrow entrance. With the high waves, strong wind and me seasick as hell, entering the Hammerhavn harbour pool felt like the waves just tossed us in. Sandvig harbour would have been just around the corner on the east side of the island and more sheltered but turned out that the Hammerhavn harbour actually was the nicer one. The harbour had new, modern facilities including a common room with huge glass windows towards the sea and a fireplace. The showers had skylights that you could open and shower under the blue sky – luxury! (See Cubo Arkitekter’s for more details.) The harbour free was 170 DKK/night (23EUR) and there were only 3 other boats there during our stay. 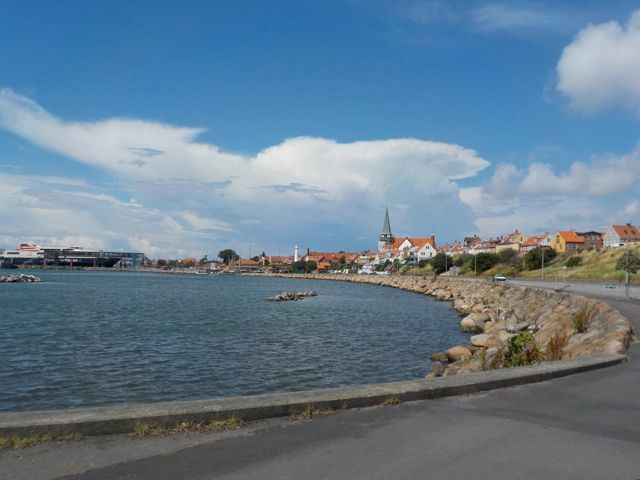 From the Hammerhavn harbour, we took a 10 km circular walking track to the north peak of Bornholm and visited the small town of Sandvig on they way. The track started right from the harbour. 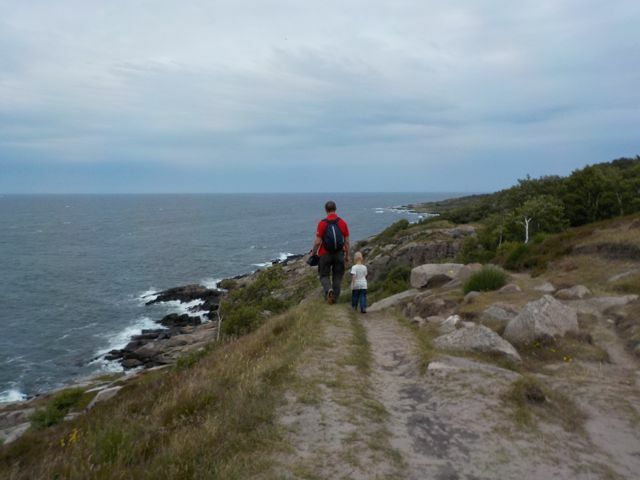 This was a very nice walk with altering terrain, rocks and cliffs with scenic views and a lighthouse. 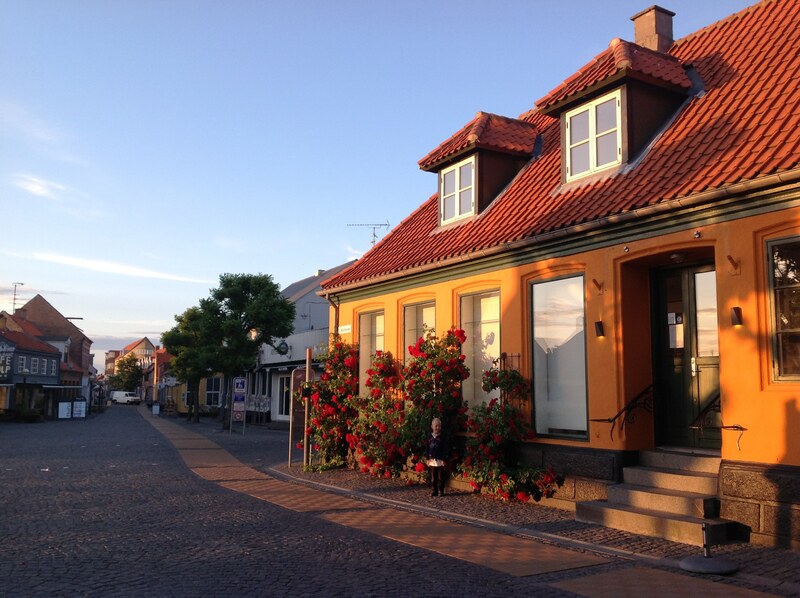 Sandvig was quieter than expected with only couple of cafes and small grocery store. Don’t plan to stack provisions here for a longer journey. 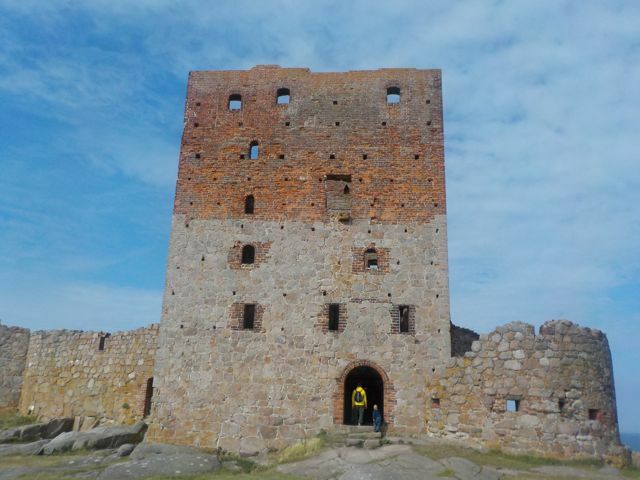 The next morning, before we headed to Utklippan, Sweden, we had a breakfast run to the castle ruins overlooking the Hammerhavn harbour. The castle was definitely worth a visit. 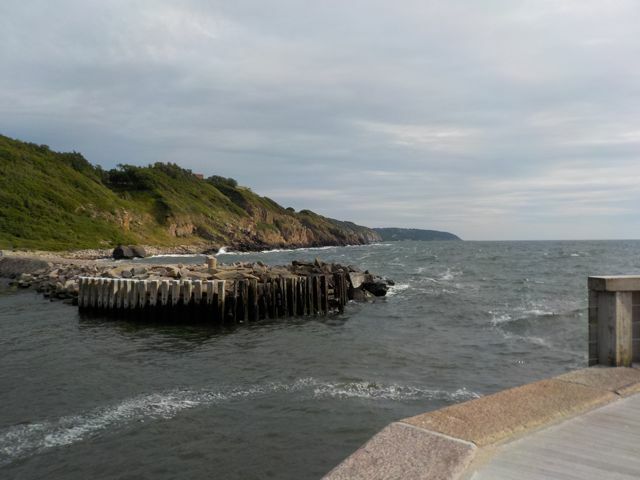 When we were in Bornholm, the east coast would have been more sheltered from the prevailing winds and waves. 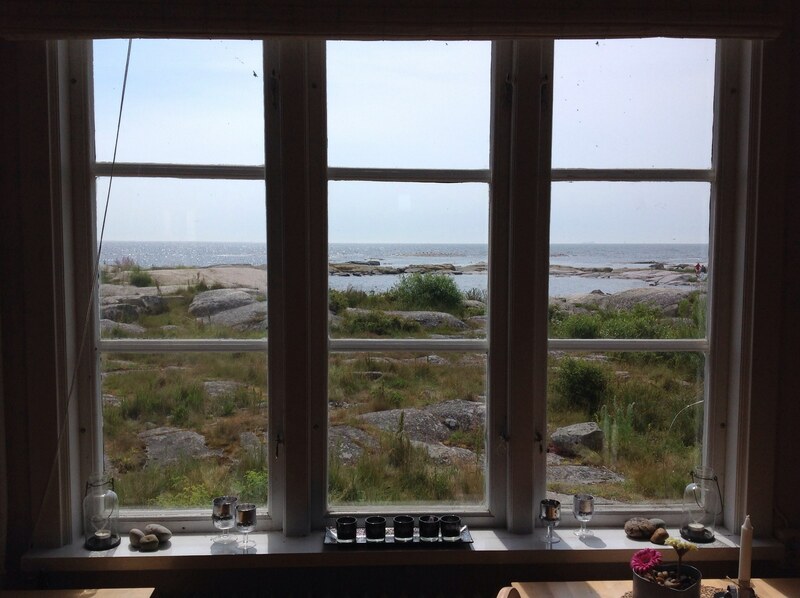 We considered visiting the harbour of Gudjhem on the east coast and Christiansö island on our way north but decided to leave them for some other time. 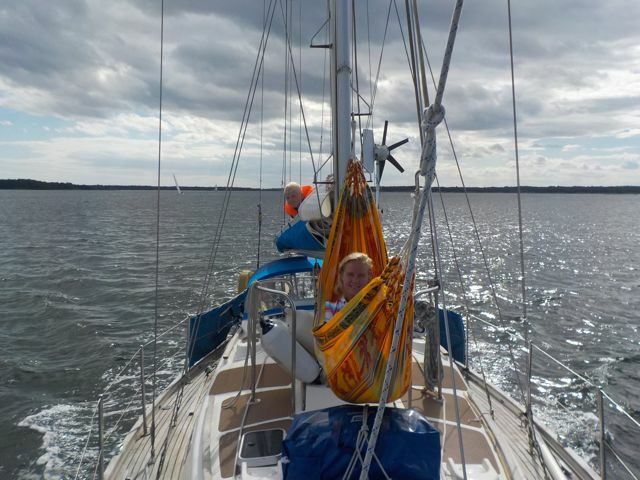 As I found the sailing life to be busier than expected (and just staring the empty horizon very compelling), I refused to take stress about updating this blog section of our website during our journey and focused mainly to keep the logbook up-to-date. It has been nice to hear that so many people have followed our journey from the logbook – thank you! Along the way we did have adventures, found awesome places and met nice people that I would like to share with you. I will blog about them in the upcoming weeks -stay tuned. And of course the sailing season is not over yet. S/Y Stella Polaris will continue making short evening sailing trips and weekend trips to local destinations in Bay of Bothnia until late September. If you wish to join us, let us know! You can now follow the journey of S/Y Stella Polaris also in Facebook. We are a “amatööriurheilujoukkue” ! 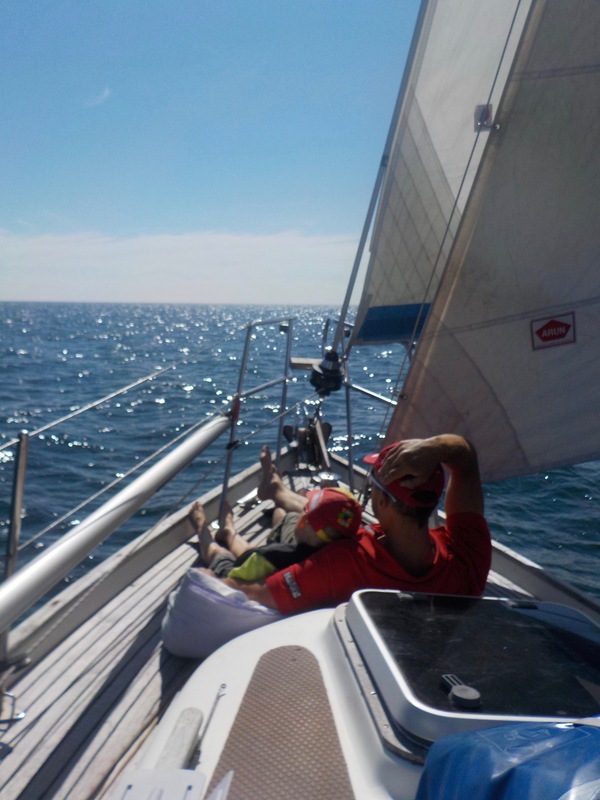 Over 300 nautical miles behind – All well on-board! Greetings from Kristianopel, Sweden. 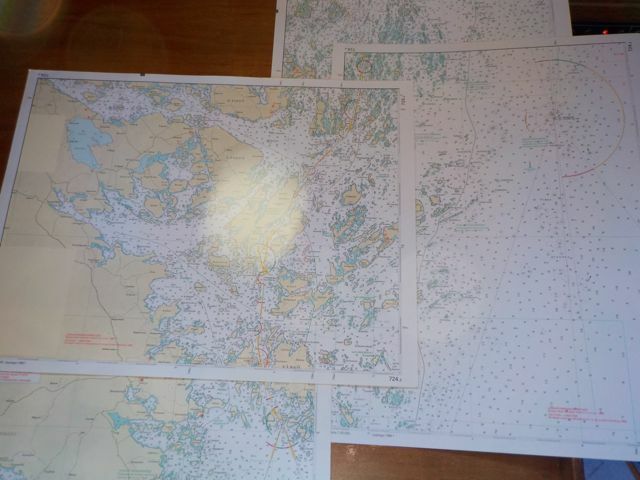 We have now sailed 9 legs – total of 310.5 nautical miles and three countries (Germany, Denmark and Sweden). Things are finding their places on-board but still especially the food items something “disappear”. The toilet leak is history but the engine is causing us some worry. It refuses to start if used for extended time. Re-starting it requires taking off the covers (to cool it down) and giving it some hammer. Other than that, life on S/Y Stella Polaris is good! Anton. His truly a sailor! Anton is very comfortable on-board and sometimes even refuses to get out of the boat to do something on land. 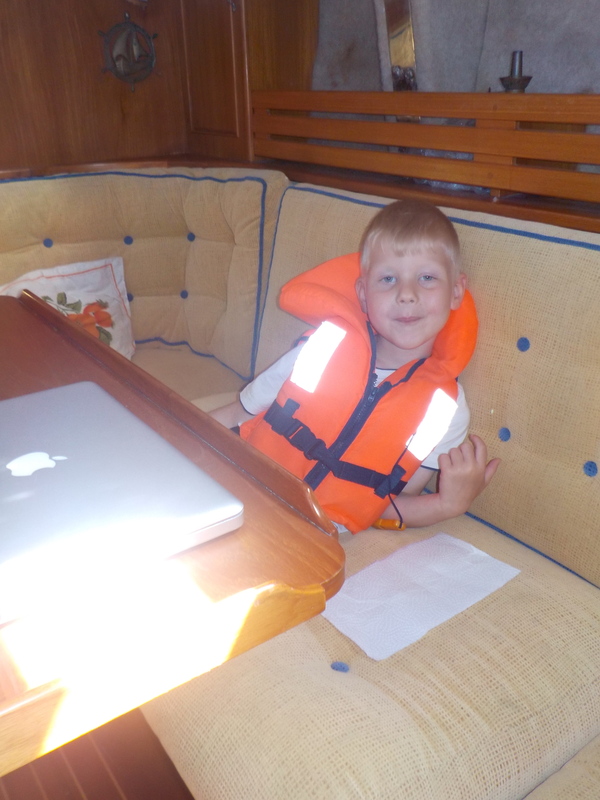 During sailing, Anton sometimes sits in the cockpit but mostly spends his time inside listening to stories, playing with the iPad or watching movies from the computer. He also takes really long daytime naps that we adults envy! On calm legs, Anton enjoys sitting on the font deck. He gladly wears the life vest, would love to help all boats coming to the harbor with ropes and is an eager fisherman when ever possible. The captain. The captain has handled the boat extremely well in all situations from hard wind to rush hour in a tiny marina. He’s a captain that you can trust without hesitation. The first mate. For me, this trip has so far been an experience of a lifetime. As I’m only a novice in sailing, all practicalities of long distance sailing are new to me. The captain has praised my performance so far and I’m feeling positive about my learning curve. Unfortunately, I have been unexpectedly seasick during the first legs when we had stronger winds and higher waves. Harbors. Even thought we only have visited 8 harbors so far, none of them have been the same. 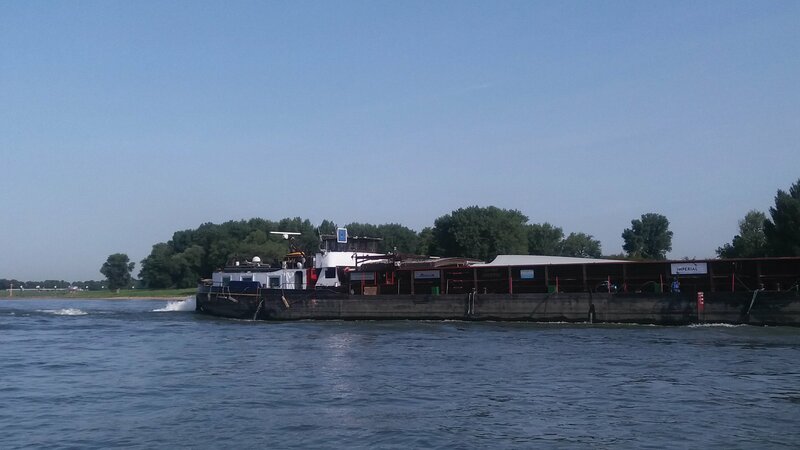 Plus that we have anchored overnight in the river Trave which was so peaceful and quiet even thought the large cargo ships passed us really close. Also a sheep herd on land entertained us with funny noises. Steering. S/Y Stella Polaris is a slave ship! We have two slaves on-board and they are called Gustav and Robby. Gustav the wind pilot is our best friend on-board. He doesn’t eat anything and he takes no space because he hangs outside at the transom of the boat. He steers reliably to the intended direction in all conditions except direct tailwind and no wind. In these conditions Robby – the Simrad autopilot – takes over. Navigation. Even though S/Y Stella Polaris is equipped with two independent GPS navigation systems we have also wanted to navigate traditional style. All legs are planned in advance with paper maps and the planned route is marked down to the map. Every hour or so, we mark down to the map and logbook our actual location and check that we are on route. Electricity. I’ve always heard that electricity is an issue in sailboats. So far we have had no issues. Our wind generator and engine has generated much more power for us that we have been able to consume. The 3 batteries hidden underneath the salon berth provide us electricity while sailing or in anchorage. The only issue is that we haven’t found an USB charger for our MacBook but hopefully we will get it tomorrow from Kalmar. Food. Happy crew is well fed! We eat well at home and planned not to change that on-board. We have had breakfast with beacon, eggs and beans and everyday we enjoy a proper dinner outside in the cockpit. The new cold box works very well and our kitchen is equipped with almost everything else but an oven. A used Taylor oven-cooker is currently located in the cockpit storage box waiting to be installed when we get home. Getting to know a new sailboat is a time consuming task. 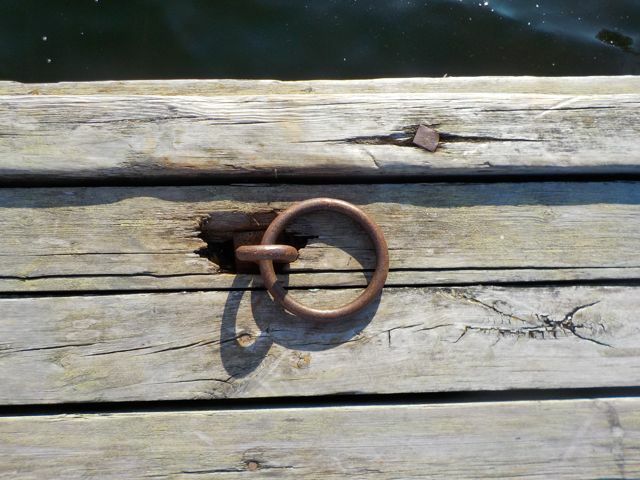 We have spend 6 days in Smygehamn harbour – the southern most harbour of Sweden – going through lockers and stuff in them, cleaning and scrubbing, fixing and adjusting this and that, searching and finding out how things work. We have found useful things such as a collapsible bicycle, 3 power drills, 8 tool box sets, spear parts for nearly everything, kitchen appliances for baking and so much more. Thank you Heinz! Saku has fixed the bicycle to working condition and done two major improvements in the boat that will make our everyday life on-board more comfortable. The old cold box situated in the legroom of the navigation table was said goodbye to when the fixed cold box under the berth got a new compressor unit. We now have more room for refrigeration but it was not an easy and fast fix. Saku got to experience at first hand how fixing things in sealed, closed space can make screwing two screws take 30 minutes! Also the minor but irritating leak in the toilet seat that kept the bathroom floor constantly wet got fixed. We will find our for sure tomorrow if the leak is history. Today (Monday) was spent in Malmö Ikea (blankets, pillows etc. ), ICA Max (provisions), Biltema (this and that) and Media Markt (waterproof digital camera). While going through the boat, we have had the change to spend time with Saku’s family. At the end of the day today when all items we bought had found their places in the lockers of the boat, Ninni and Simon visited the boat. 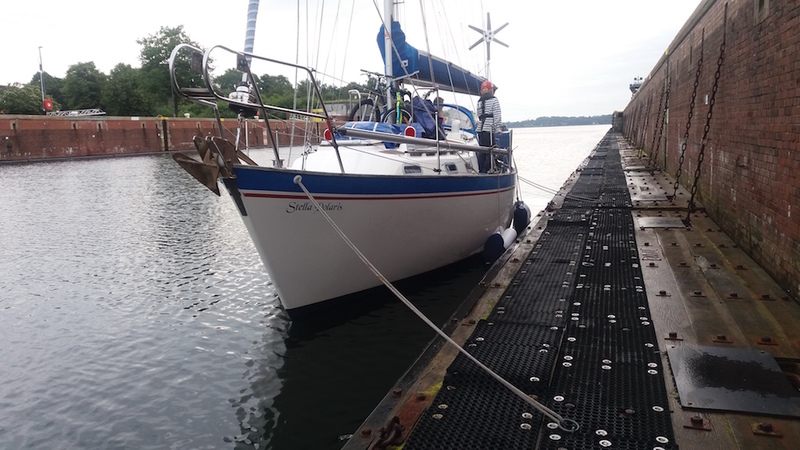 We tested the sailing capabilities of S/Y Stella Polaris on the way from Germany to Sweden in some strong wind and we were very pleased with how she behaved under pressure. 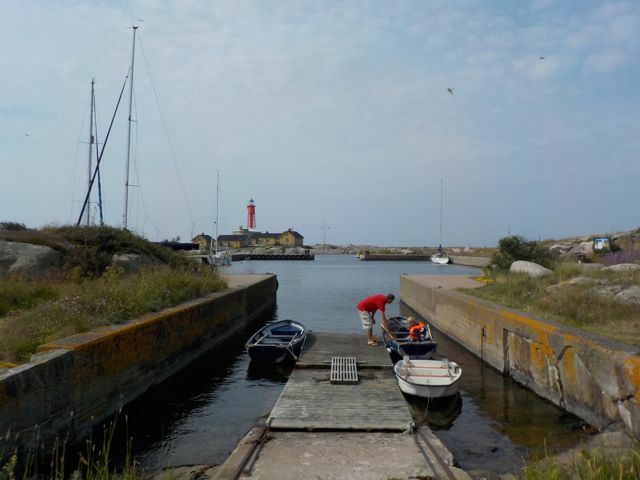 The journey with a boat that we now know a bit better continues tomorrow morning to Rönne, Island of Bornholm, Denmark. The weather forecast is predicting tailwind and the spinnaker is waiting to be tested! 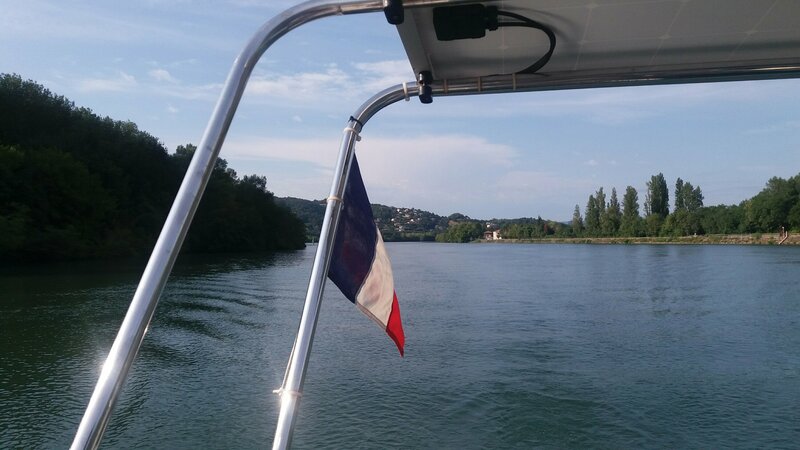 In this blog we will share our adventures onboard S/Y Stella Polaris (a.k.a. Dschinifor). Stay tuned!